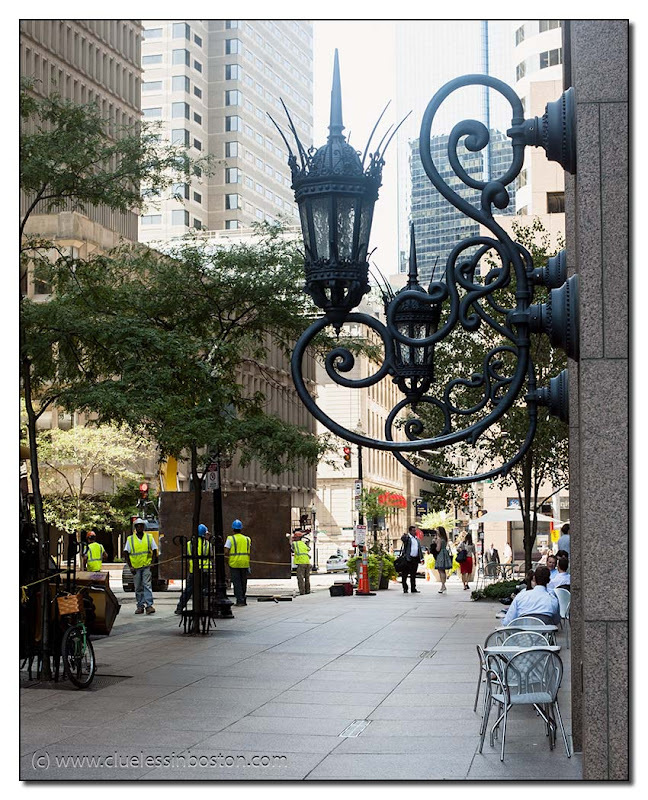 Iron lanterns on International Place on Oliver Street. Wonderful piece of history, very stylish. These lanterns are beautiful. Keen eye and thanks for the photo. The lamps are beautiful and unusual, the street scene is fascinating..a lot going on! Hope you are somewhere nice taking lots of photos. You are being missed. I love this - exactly how I picture Boston. I'm really enjoying your photos. Lovely urban scene! And it looks like the workers are trying to make some improvements, too!